I have just finished reading “Crossing Over” by Ruth “Irene” Garrett (Harper 2003.) 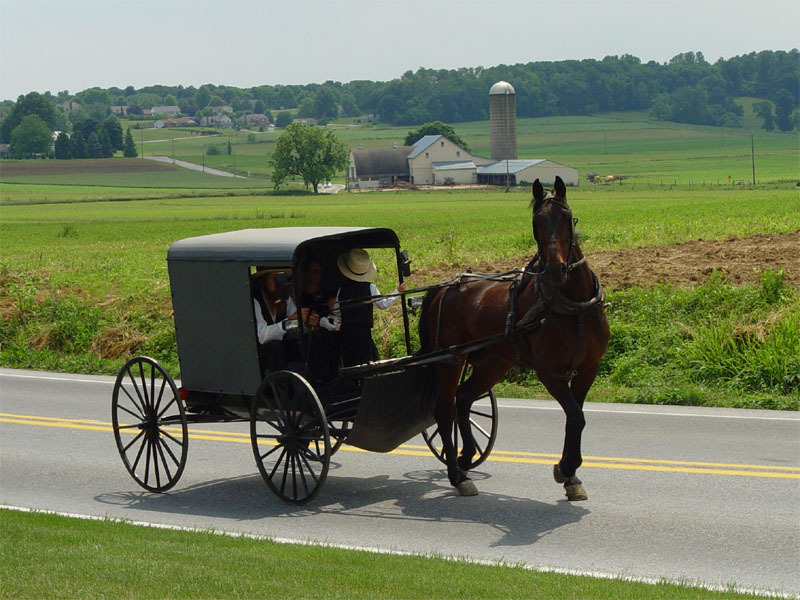 I had always pictured the Amish as those cute folksy old guys with their horse and buggies, just living their 1600s lifestyle in the 20th century. Well, cute they may be, until you try to leave them. The picture Garret paints of life in the Amish is of a very joyless existence, with an overbearing father, dominance of the men over the women, psychological manipulation, a religion fixated on hell, and a desire on her part not to end up with the diminished life her mother has lead. In this she reminds me of Ayaan Hirsi Ali and her description of her Somali Muslim family (see elsewhere in this blog). Amish are bought up for childhood to believe that the “English” (read non-Amish) world is full of sin and depravity, only the Amish will be saved, and anyone who leaves the Amish church must be shunned (unless perhaps you leave for the closely related Mennonite church – see Wikipedia for an explanation of Mennonite and Amish). In practical terms, your family won’t speak to you (except for the purpose of telling you that your soul is going to hell and you need to repent and come back.) Irene Garret made the mistake of falling in love with the “English” mini-bus driver the family employed when they needed to go longer distances than the horse and buggy are good for. But Irene marries the driver (“Ottie”) and is excommunicated from the church. The family’s letters to Irene after she leaves consist of little more than manipulative repetitions of the pain her leaving has caused everyone, how ‘empty” the home is without her, and how unless she returns she will go to hell. An organised boycott of Ottie’s calendars (which contain photos of Amish buggies) and of his published directory of Amish families lead to his forced sale of the business at a loss. Not nice, eh? Why do some religions behave like this? Once you have a group that believes it and it alone hold the pathway to heaven, it provides a justification for limiting members’ contacts with the outside world. If you meet enough people of other beliefs you might just discover that they are in most cases morally no better nor worse than you and your kin. And then what would happen to in-group conformity? Shunning is a cruel form of emotional blackmail to keep members in line. And the dominance of men over women? Leaves me puzzled. Like Amish, like Islam like the Roman Catholic church. Do these guys realise how much they have in common? Church members are not taught to think independently and question, and this in turn again makes Garrets experience of the Amish similar to Hirsi Ali’s experience of Islam. If women were taught to think for themselves, argue and debate, who knows what might happen to the existing power structures. But that’s not likely to happen in the Amish church anytime soon.